You spend months planning your special day. You choose what you want to wear, even though it shocks your mum. You’ve upset your aunty and reunited with lost cousins to get the numbers right. You’ve searched the internet, set up pinterest boards and collected samples. You’ve dressed up as a meringue in a dress shop, or learnt how to tie a tie for the first time in your life. You put an effort into this and you want something to show for it. You don’t really want stale photos of your friends stood in a line. Who would? You’re probably dreading those awkward moments posing by cakes and pretending you’re comfortable showing affection in front of a stranger. You can be left with a set of photos that bring back the best emotions. You can feel so comfortable with your photographer you know they’ve brought your guard down because they’ve taken the time to get to know you. The photos can be fun and you can make epic art with your memories. 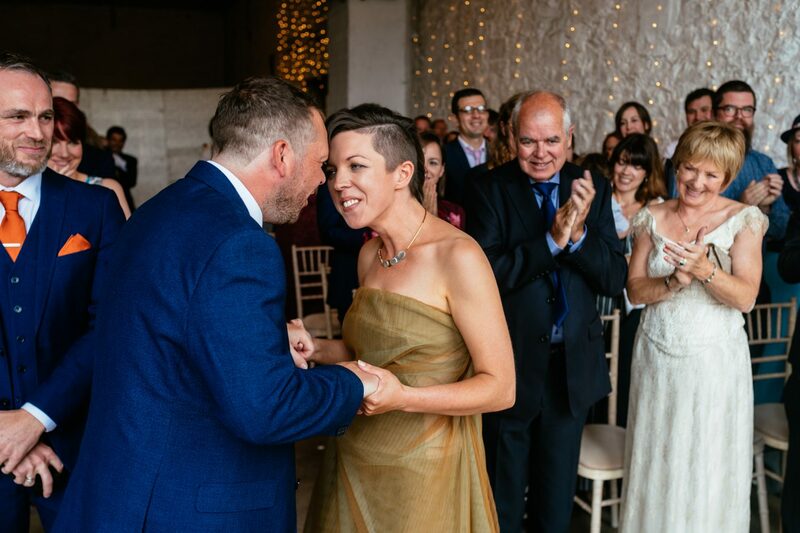 Natalie wore gold converse all stars when her and Dave got married. She bought a pair for each of her bridesmaids. 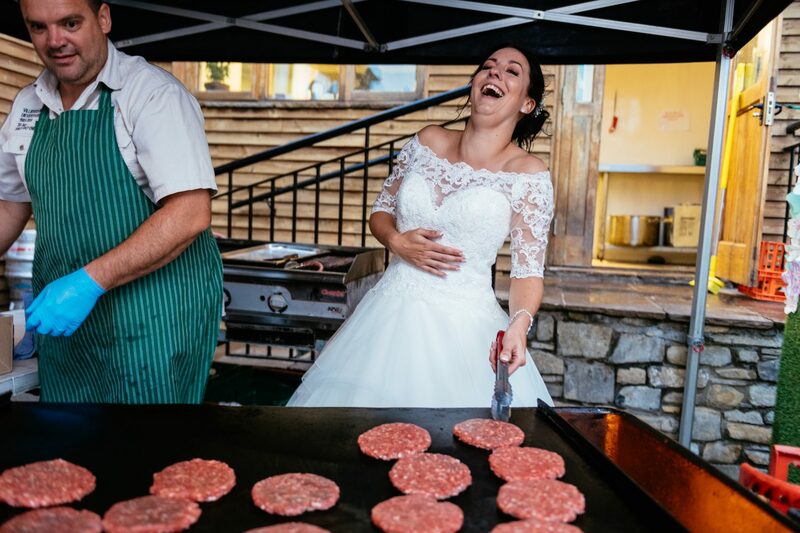 They were comfy and she got to keep them after the wedding. You might want to ooze style and sophistication. I’m sure there are venues that will serve you the right cocktails and canapes. Helen and Anthony found it at The Park House Club. It might be a barn with hay bales and strong cider that appeals to you. 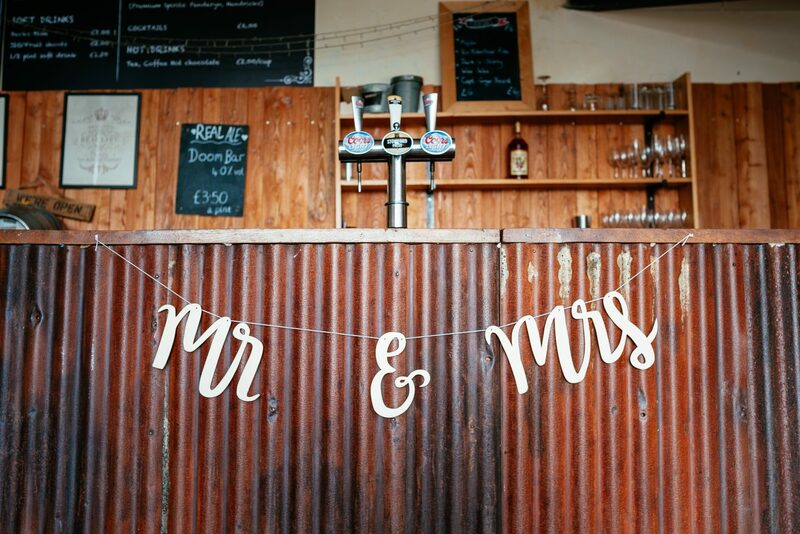 Check out The Farmer’s Barn at Rosedew Farm for one of the most relaxed and rustic venues I know in south Wales. If you’re planning a few minutes away from your guests with your photographer it’s always good to have somewhere in mind. 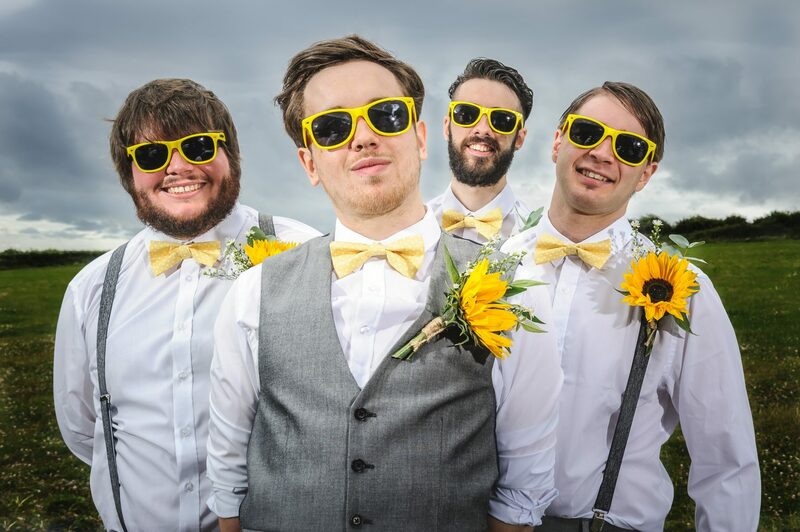 Find a couple of options and let your photographer choose. They’ll consider such things as the time of day and lighting to make the best of any options. 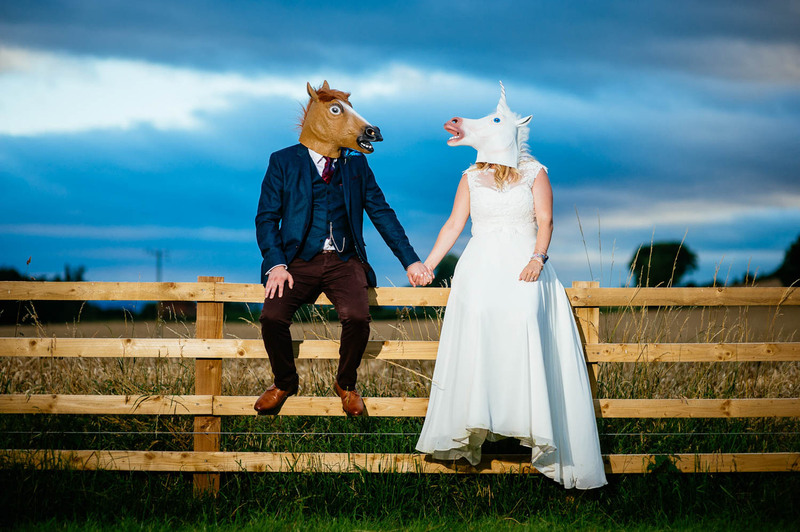 Naz and Lydia had a special place in mind for their photos before their booked their venue. 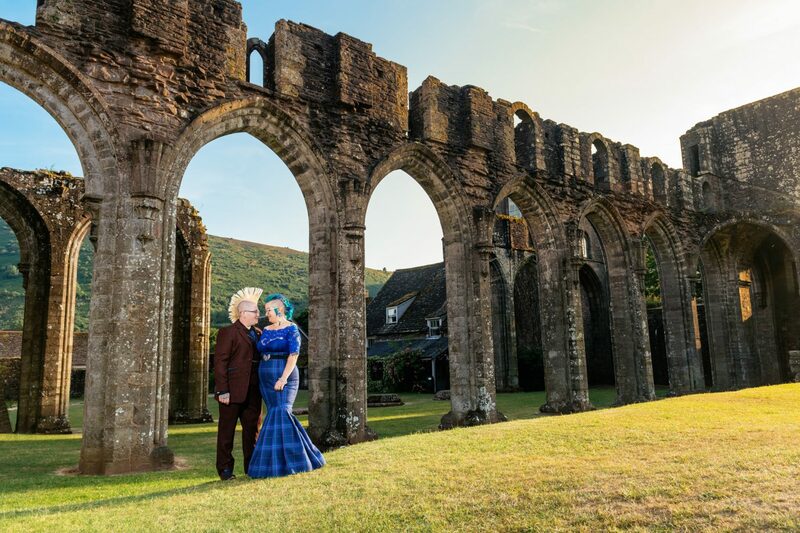 Llanthony Abbey held special meaning to them so we made the most of the sunset time and drove there to capture their vision for their wedding photos. 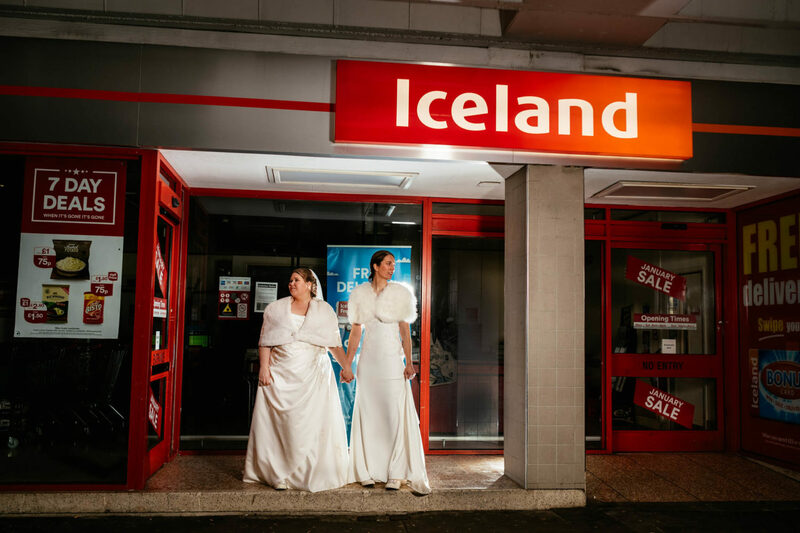 Eve and Liz did it their way. 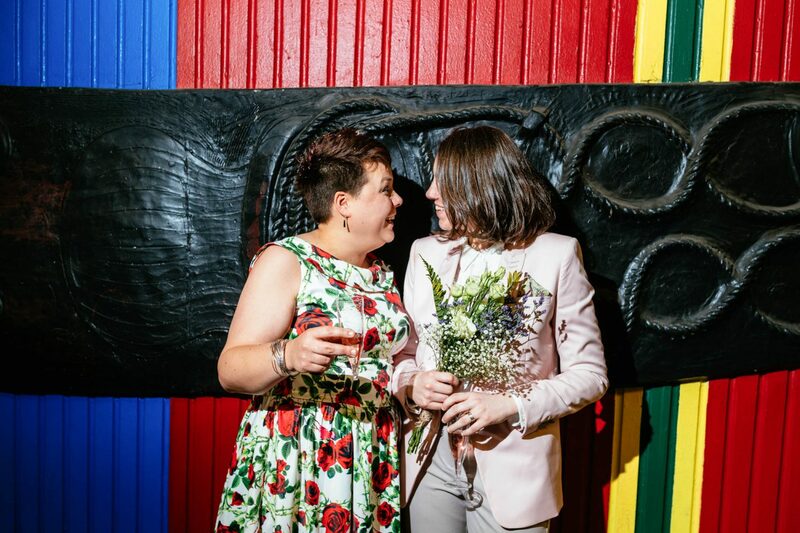 But the most striking and memorable thing about this wedding for me was Eve’s floral dress and Liz rocking the DMs. Eve and Liz avoiding cliche with their unique styles. Netti chose green and lose for her wedding dress and it was one of the most moments of the summer. It was just so her and matched her jewelry and relaxed rustic theme so so well. 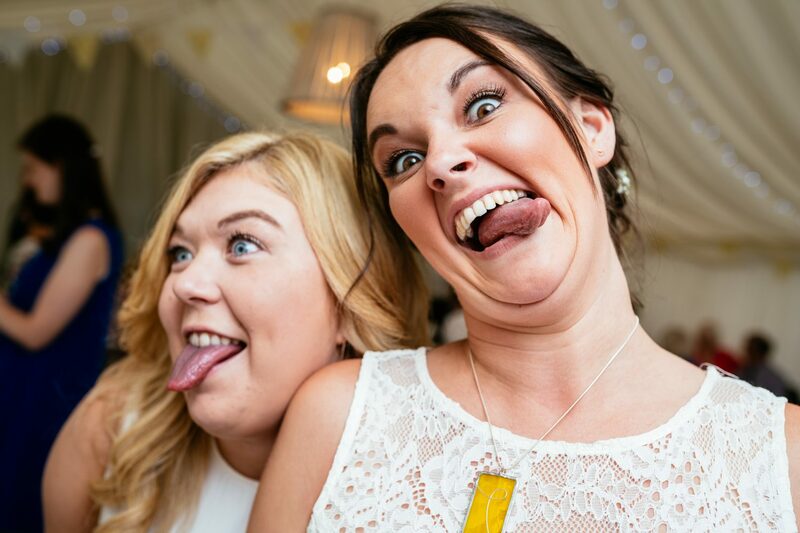 A big part of a wedding photographer’s job is interacting with guests. 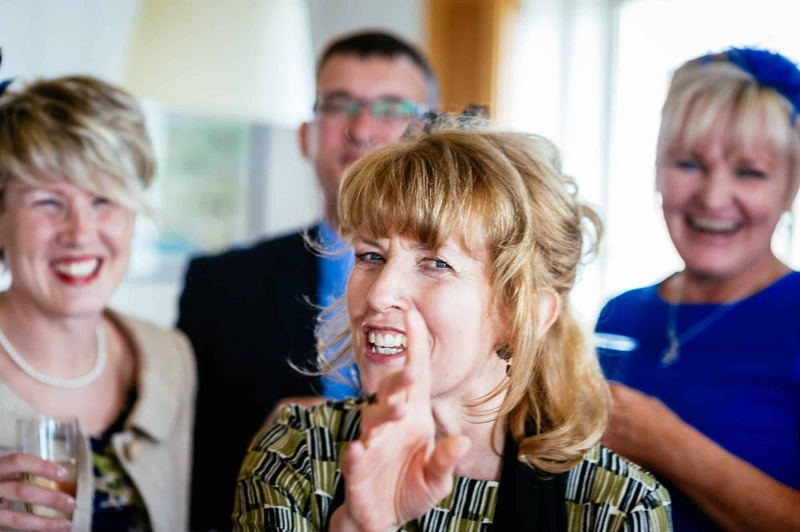 In striking up conversation, chat, banter and fun rapport can be built and barriers broken. Forced fun can feel forced, and you’ll know it in your photos. 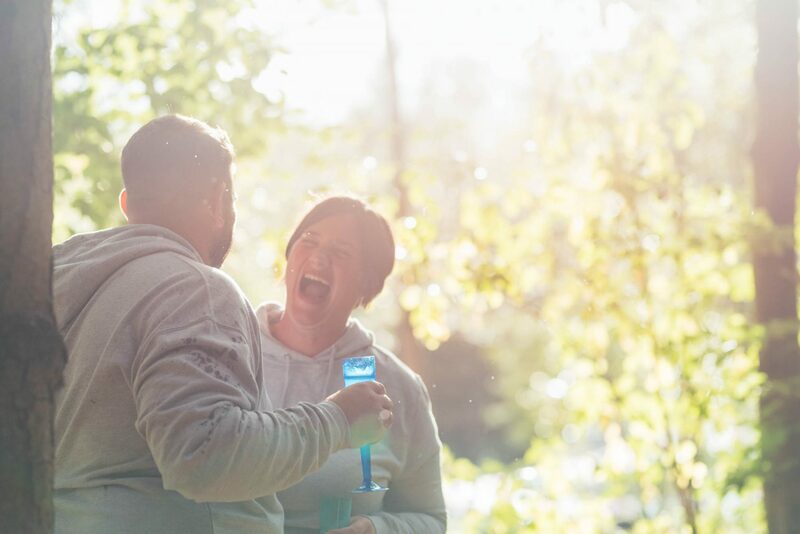 Relax on your wedding day and remember it’s a day for fun and laughter. 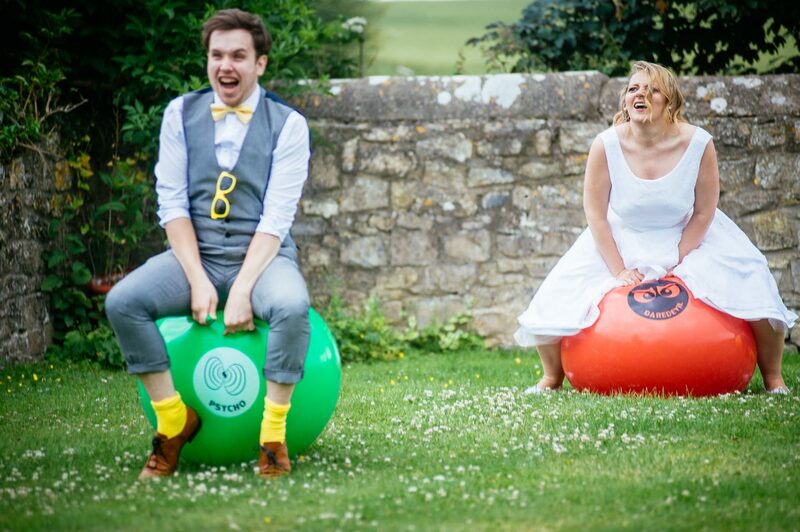 If you’re offered a space hopper race then accept, even in your wedding dress with a husband that bends the rules in his favour. Through meetings and conversations with your photographer you can share your thoughts, worries and ideas. Anything you have in mind that you want to try you can discuss in advance, maybe saving ideas to Pinterest or an ideas board. 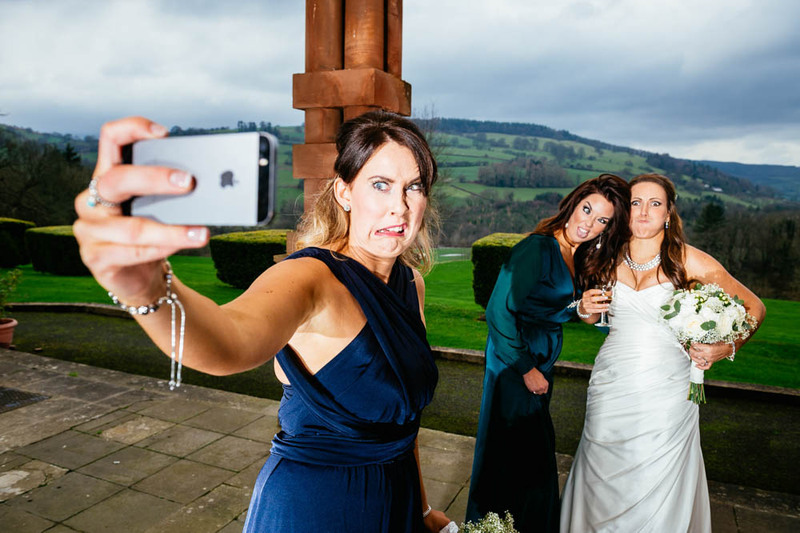 Not every photographer likes to work to a plan though, so discuss this before choosing the perfect wedding photographer for your day. 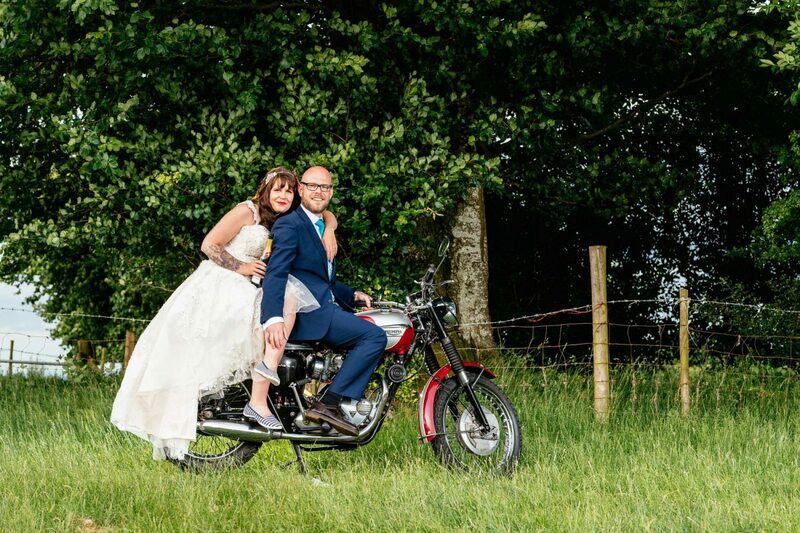 Tom’s dad couldn’t be at the wedding, but his motorbike could. It was cleaned up by a family member and made a guest appearance. 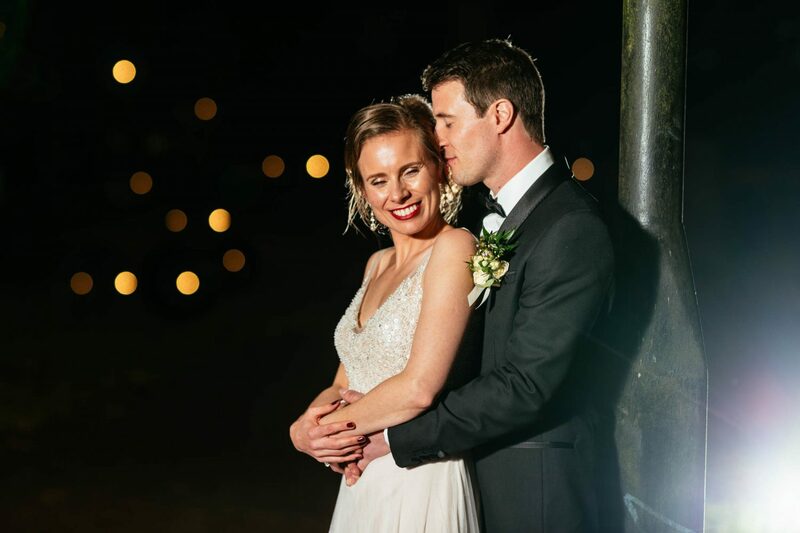 It was perfect for a photo of Becci and Tom that will carry emotion and sentiment when they look back on their wedding day. If your friends are the most important people in your life, make sure that they’re there on your big day. Make sure you get photos of them and you have time in your day to relax and enjoy some time together. Be brave and bold and pick a theme that resonates with you and your relationship – that’s what you’re celebrating, so celebrate it. Pick a theme and rock it! 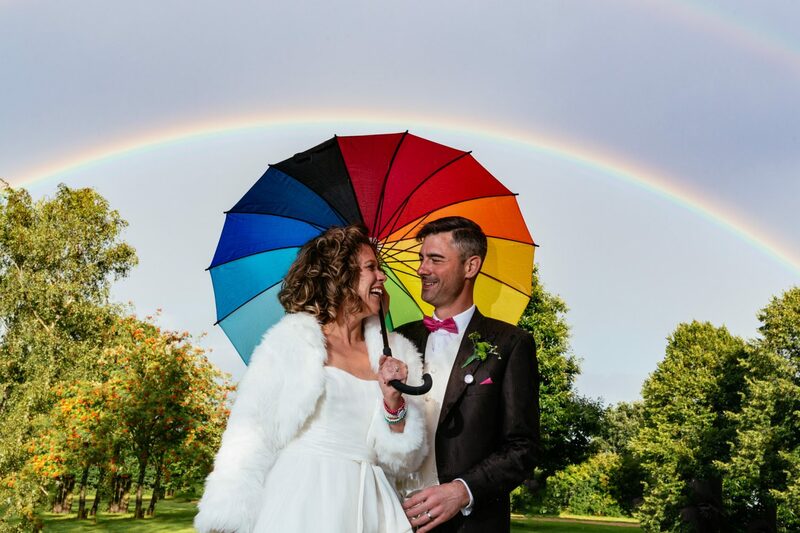 A rainbow theme, this was more than just luck!